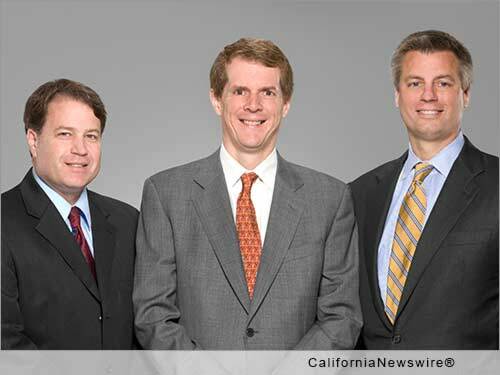 SAN FRANCISCO, Calif. /California Newswire/ — EPIC Insurance Brokers and Consultants, a retail property & casualty insurance brokerage and employee benefits consultant, today announced it has acquired Greyling Insurance Brokerage & Risk Consulting, Inc., a specialty insurance broker and risk management consultant based in Atlanta, Ga., with locations in St. Louis, Mo. and Tampa, Fla. The firm will now operate as "Greyling Insurance Brokerage – a Division of EPIC." Founded in 2005 by David Collings and Gregg Bundschuh, Greyling is one of the nation's top specialty insurance brokers serving four interconnected industry sectors across the country: Architects and Engineers; Contractors; Environmental Firms and Law Firms. "The addition of Greyling's David Collings, Gregg Bundschuh, Bob Staed and their capable team of insurance and risk management specialists is an exciting way to further build EPIC's commitment to industry specialization on a national level," said EPIC co-founder and CEO John Hahn. Added Jeff McCart, EPIC Southeast Region President, "We have great respect and admiration for David, Gregg and Bob, who have built their business on the highest standards of personal integrity, innovation and client service excellence. I am very excited to have them join our EPIC team." The addition of Greyling will add top professionals with insurance, legal, and engineering backgrounds. "Greyling and EPIC share many values and practices in common and all of us are committed to perpetuating a culture that rewards innovation, teamwork and absolute client satisfaction," said Greyling co-founder David Collings. Added co-founder Gregg Bundschuh, "As a division of EPIC, we will have greater access to experienced professionals in multiple disciplines, broad resources, additional capital and extensive insurance company relationships – all to supplement our own outstanding people and resources for the benefit of our clients." Said Derek Thomas, EPIC's Chief Strategy Officer and co-leader of the firm's Specialty Practice and Program Group, "The addition of the Greyling team strengthens EPIC's national platform serving architects and engineers, environmental firms, the construction industry and other professional service firms. In turn, their current and future clients will benefit significantly from the broad capabilities and resources of our Specialty Practice and Program Group." Since The Carlyle Group became the firm's major investment partner in December 2013, EPIC has completed six strategic acquisitions/purchases, adding nearly 300 employees in 12 new locations across the United States.